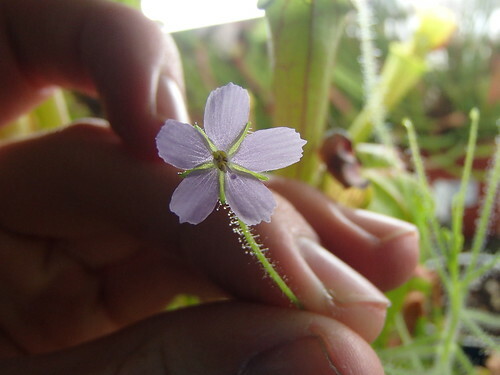 I never did start an official thread for Byblis here, so I decided it was time to do so. I have 3 species now growing for me. 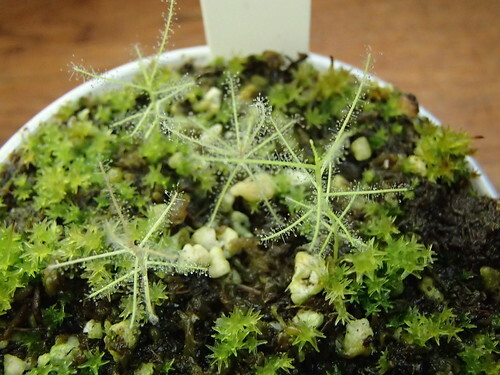 It will be great to finally have multiple species growing at the same time to compare them, and if I'm lucky I can see if I can cross them and see what happens. Lovely, Carlton! Had several of these pop up amongst some Utrics I received in trade. Lost most of them, unfortunately. Keep having issues with the branches withering away. Very cool. It is nice to see the progress of the different species. 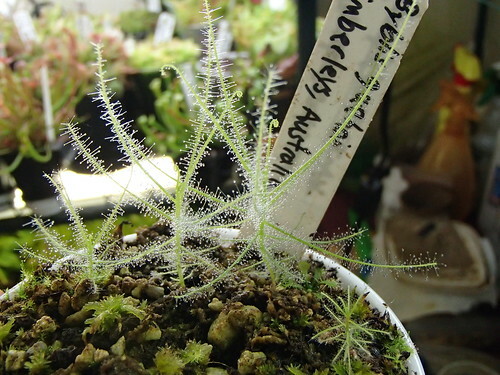 I think that people who have never seen Byblis in the flesh may not always see the appeal but once you have you realize that these plants have big charisma. 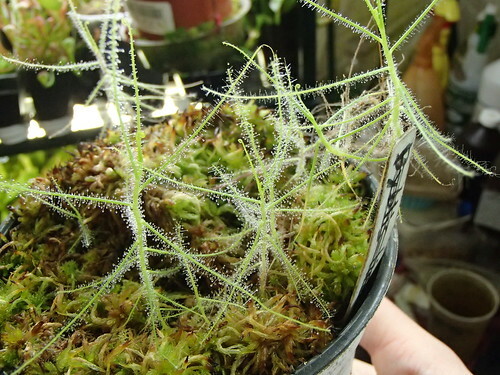 They are much less sundew-like than they appear from photos, though just why is hard to put your finger on. Very interesting and pretty, I got seeds of the rorida and guehoi too, I need to plant them already. What soil mix did you use and did you pre-treat the seeds to help in germination, Thanks! 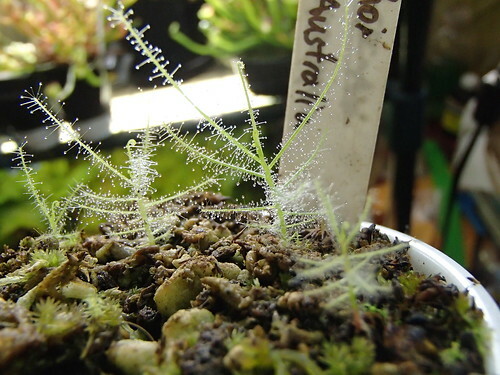 sflynn: all Byblis seeds need (or in the case of liniflora do better) with some sort of pre-treatment to sprout. B. liniflora you can soak in water for 20-40 min to get the inhibitor out, for the others I use a 10% bleach solution until the seed coats JUST start to turn grey. Don't wait any longer or you'll dissolve the embryo too. 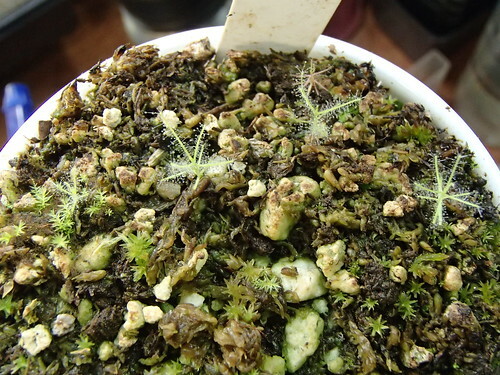 For soil, I use a mix of near-equal parts of sphagnum, peat moss and perlite (sand works too). 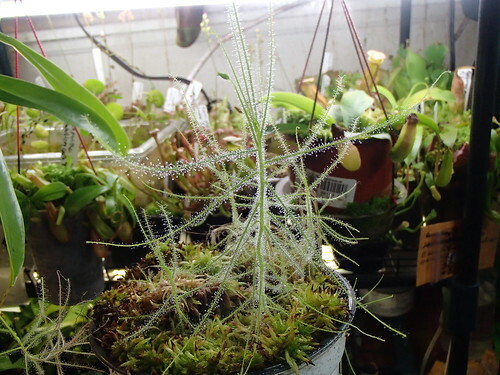 Nothing else have I been able to keep Byblis alive on. You might have seen posts by Cindy in Singapore, her soil mixes are similar. 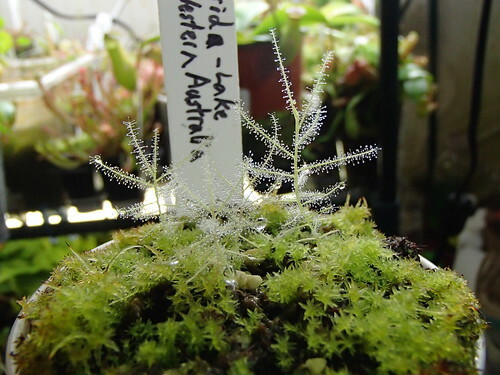 The B. rorida are still growing upward, but the leaves aren't getting any longer.... I attribute it currently to cool temperatures.